Instagram, the photo sharing app and social network which allows users to easily add filters to images taken on their mobile devices, quickly grew into a social media favorite. Earlier this month Kevin Systrom, cofounder of the app, told TechCrunch it has surpassed 27 million registered users. Systrom didn’t say how many daily active users they have; however, he did say that 67 percent of them used the app yesterday. 1. Highlight your new blog posts. Be sure to include a link in the comments so that interested viewers can easily access the post by copying and pasting the url into their mobile browser (the link will not be clickable in Instagram). 2. Put your products in a new light with filters. 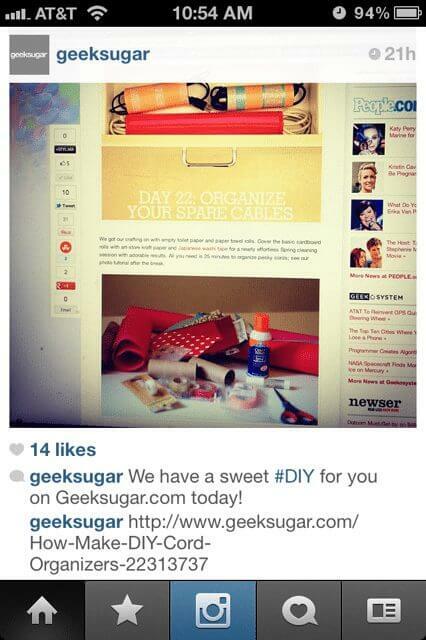 Instagram pictures of your products (even group products together to make gift packages), add a filter and voila! You just saved $1000 on a professional photographer! Okay, okay, you’ll probably still need to bring in a professional for some photos, but snapping a pic now and again to share on Instagram reminders your community you have nice products available without spending a ton on a glossy print ad or highly designed web campaign. It’s perfect for your social community. 3. Show off your company culture. Give your community a peak at what goes on behind the scenes to bring them their favorite products and services. This helps add a human element to the company allowing customers to establish an emotional connection with your brand. 4. Share company news with nice graphics. If you already have graphics created for other marketing campaigns, why not repurpose them for use on Instagram? 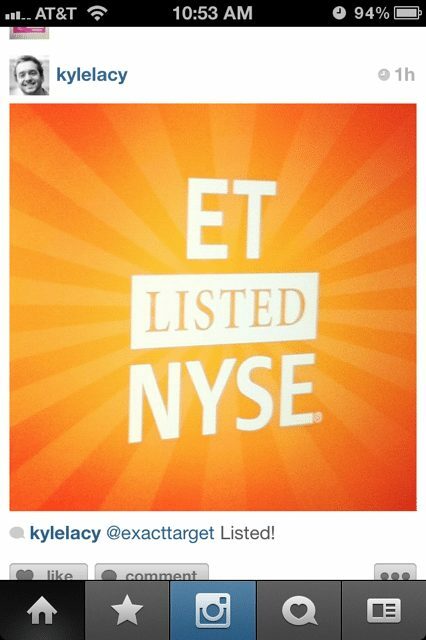 For example, today ExactTarget is making its debut on the NYSE (congrats Kyle and the ExactTarget team!) and their employees are instagraming the news! I love this! As a bonus, I would add a url in the comments where viewers could learn more about your news. They say a picture says a thousand words. 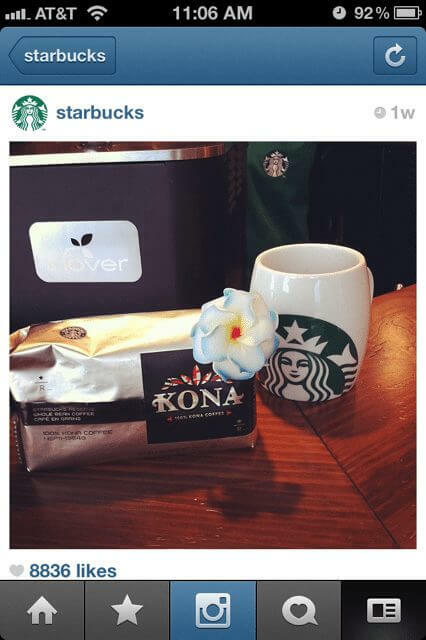 What story will your brand tell on Instagram? How will you use it for sales and marketing? It’s up to you to find the best way to engage your community through pictures. Share your comments below with your Instagram tips! 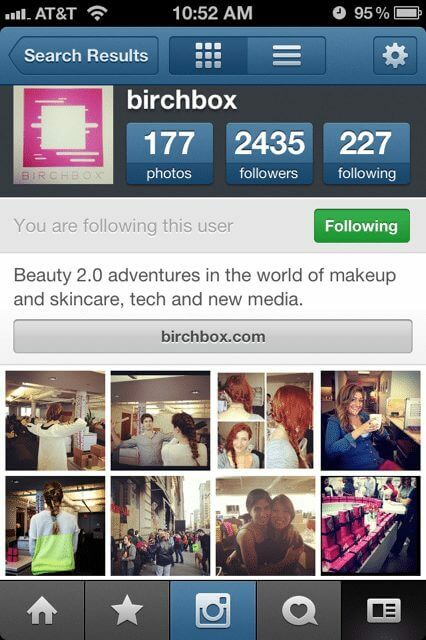 If you don’t already have an Instagram account you simply need to download the app from the Apple app store. If you have an Android devices – no worries – a version for you is coming soon!